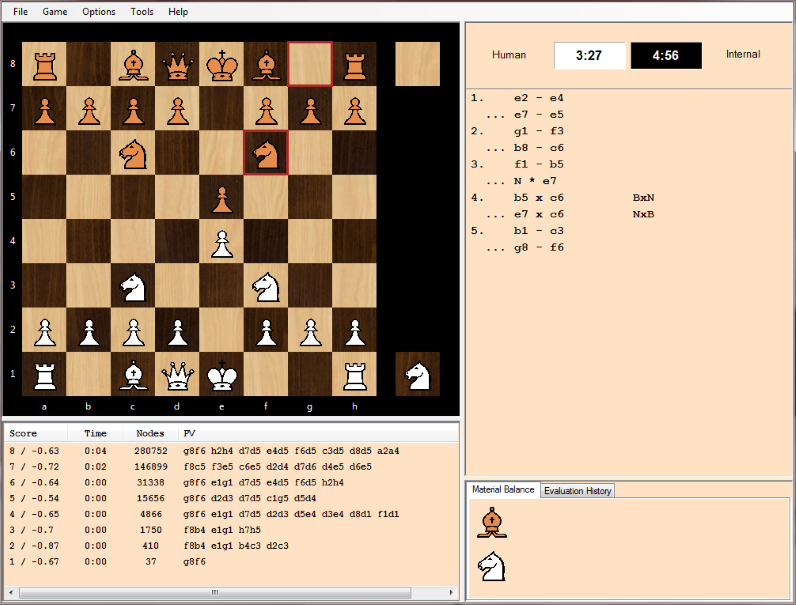 ChessV is a free, open-source universal chess program with a graphical user interface, sophisticated AI engine, and other features of traditional Chess programs. As a "universal" chess program, it not only plays orthodox Chess, it is also capable of playing games reasonbly similar to Chess. It currently plays over 70 different chess variants, and can be programmed to play additional variants. ChessV 2.1 Windows Installer Installation program for use on Microsoft Windows operating systems. Requires Microsoft .NET Framework 4.0. Also includes the Fairy-Max universal chess engine by H. G. Muller and the SjaakII universal chess engine by Evert Glebbeek. ChessV 2.1 (non-windows) A zip containing the ChessV program for use on non-windows computers. There is no installation program - just unzip and run ChessV.exe under Mono. Version 2.0, released March 2017, was a complete rewrite from scratch. It was six years in the making with over 250 files of source code. ChessV 2.0 Windows Installer Installation program for use on Microsoft Windows operating systems. Requires Microsoft .NET Framework 4.0. Also includes the Fairy-Max universal chess engine by H. G. Muller. ChessV 2.0 (non-windows) A zip containing the ChessV program for use on non-windows computers. There is no installation program - just unzip and run ChessV.exe under Mono. 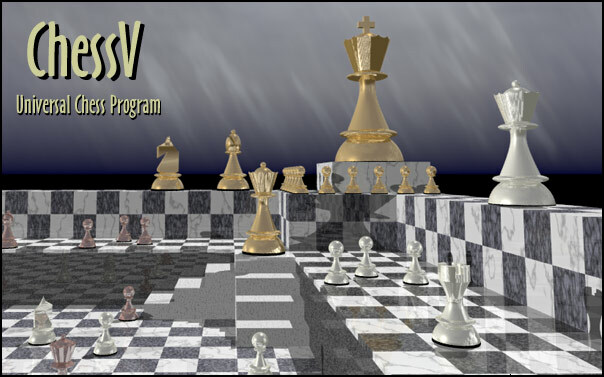 Version 0.95 was the final version of the original ChessV, which was a native Microsoft Windows application written in C++. It was impressive for its time, but the source code was a tangled mess. It was my first attempt at making any sort of chess program, nevermind a universal chess program, so it contained a lot of unfortunate design decisions. I decided it was best to abandon it and start from scratch. I chose to use C# for the rewrite rather than C++. Although not as fast, and offering less ability for optimization, using C# allowed me to incorporate powerful features that would have taken much, much longer in C++ and would have been much harder to debug. Using .NET also allowed better cross-platform support. Although the C# re-write began in 2012, I did release a final updated version of the old C++ program, version 0.95, in November 2016 to fix a couple of long-standing issues. For a universal chess program, it still offers a reasonably strong AI, even by modern standards, and as one of the first programs of its kind, it has some historical significance. ChessV 0.95 (64-bit) Version for 64-bit Windows operating systems. Requires a CPU that supports SSE4 instructions such as the Intel Core i3, i5, and i7 processors and AMD processors starting with the K10 family. There is no installation program for this version - simply unzip (preserving folders) and run. It should also run under Linux using Wine.